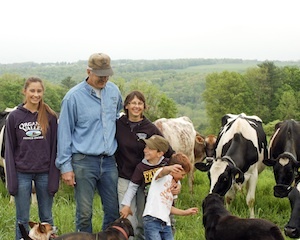 Our January Farm Sponsor Spotlight is Moore Family Organic Farm in Lansing, NY. Maggie Reeger, FaHN VISTA, spoke with Larry Moore to learn about the farm and its contributions to the local food system. Most farmers who choose to become certified must also learn how to end their reliance on antibiotics and hormones. For Larry, this wasn’t a top concern. Prior to becoming organic certified, the cows received few antibiotics–the veterinarians knew how to treat the cows without using them. Unlike the conventional farming community, Larry found a great network of resources. Through Organic Valley, farmers have access to a support system made up of veterinarians, nutritionists, agronomists, and other farmers. 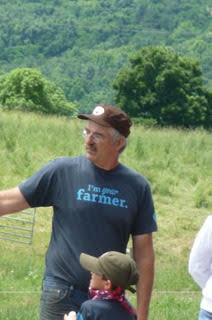 Larry attends informational meetings and meets farmers from all over the country. They share their experiences and learn how to implement those strategies at home. 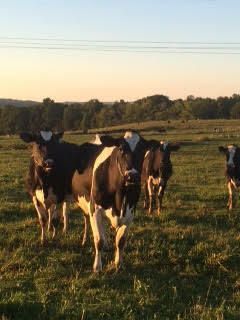 The farm has a herd of 90-100 Holsteins, Jerseys, and Milking Shorthorns, with calving throughout the year. To balance time between growing crops and managing dairy production, more milking takes place in the fall and winter months. There are around 40 cows milking at a time. Rented land can be difficult to keep and maintain for organic farming. If a conventional grower outbids an organic grower for land use, that piece of land cannot be used again to grow organic crops for at least three years—the land must go through a transition period to restore it for organic production. This can pose a challenge for an organic farmer who rents farmland. It helps to develop relationships with local farmers and neighbors. Larry is fortunate to have supportive neighbors who appreciate organic farming. 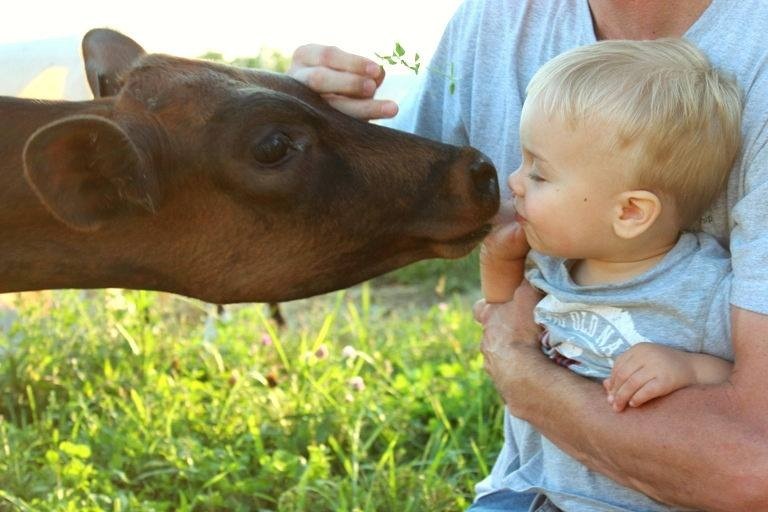 Moore Family Organic Farm sells milk to Organic Valley. Their hard red spring wheat is sold to Farmer Ground Flour, a local mill. 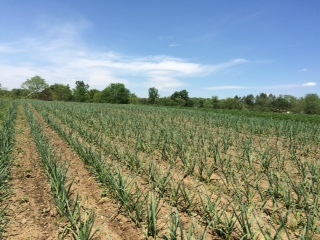 Garlic is available locally, with most being sold in the Rochester area.